On September 26th another great music site will shut down. One of my favorite social platforms, ThisIsMyJam.com will pack it in and say goodnight. The internet was supposed to be about infinite niches and a place for every fan to find his fellow enthusiasts and celebrate their shared interests. 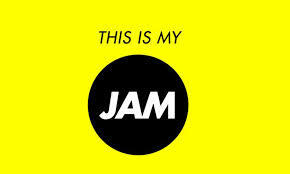 As a card carrying, flag waving member of ThisIsMyJam.com for the last 3 years and 9 months, I’ve shared a “jam” every single week with my followers. Plus, I’ve spent countless hours enjoying their shared jams as well. But not every niche lasts forever. The site will be archived as of September 26th. My jams will live on, but the site will be inactive. No more new jams. It was all about discovery, surprise and a shared love of music. Not just everyday music, but the weird and wonderful, old and new, amazing and bizarre. The site has taken me down dark, winding roads into unknown and undiscovered worlds of music. I’ve made friends, learned about new bands and delved deeply into countless songs and artists. What truly made TIMJ special was the community. I follow and am followed by about 250 intense music fans who passionately love music and live to share that music with friends and followers. Every time I log in I am guaranteed a schooling in old reggae, deep dusty blues, obscure garage singles and plenty of challenging great new music. It was raw, random and full of surprises. It may sound anarchic, but there was a method to the madness. Just about everyone had great taste in music. You never knew what would come next, but you could be pretty sure it would be excellent. How it worked was pretty straightforward. I would type in the band and/or name of the song I wanted to jam. The site would find it on Youtube, Soundcloud, Bandcamp or other streaming services. I would then post it with or without comment and share on Twitter, Tumblr and Facebook. My feed was simple as well, in order of the most recent jams. I could love, share or rejam the tracks. If I wanted, I could comment on others’ jams as well. It was a supportive community of friends that I may never meet, but will always remember their great music. You could only post one jam at a time and it lasted up to 6 days and 23 hours. If you hadn’t updated it would revert to your eternal jam, a song you chose as the best of all your jams. Certain things played well. Old soul, funk, reggae and blues were always winners. New music was a risky bet. Some new tracks would go over big while others would get ignored. My biggest flops were always obscure post-punk/new wave songs. I would serve up a masterpiece (in my opinion) only to find it left on the side of the road, abandoned by my followers. But it really was the sharing that mattered. There would always be a new jam to post. Until now. They notified us a few weeks back. It was a shock, but not really a shock. Apps, websites and online platforms come and go, but for me and a whole lot of others this one hits pretty hard. Some people are moving over to Let’sLoop or God’s Jukebox, but it won’t be the same. I am busy figuring out what my final jam will be right now. I’ve got a little over a week to find the perfect final jam. I will miss the great new sounds. I will miss the community. I will miss the challenge of finding a great new jam. Thank you to the folks at TIMJ for such a wonderful site!